From the day that Martell was founded in 1715, it has always had close links to gastronomy and fine arts. 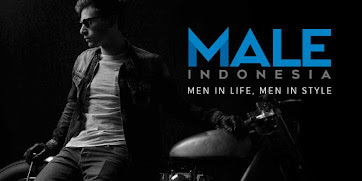 On February 7, 2013, Martell will again present this unforgettable experience for Cognac, gourmet and fine arts connoisseurs at SKYE Bar & Restaurant, Menara BCA, 56th floor. Jl. MH Thamrin no 1. Jakarta. This must attend event will start from 6:30 P.M. and will provide the exquisite combinations of Martell Pure Gourmet and Fine Arts. Enjoy the art of culinary presented by Chef Pascal Nebout from Martell Cognac, Chef Vindex Tengker and Chef Aldo Volpi that will bring you to a new heightened enjoyment of Martell and a unique gastronomic moment. 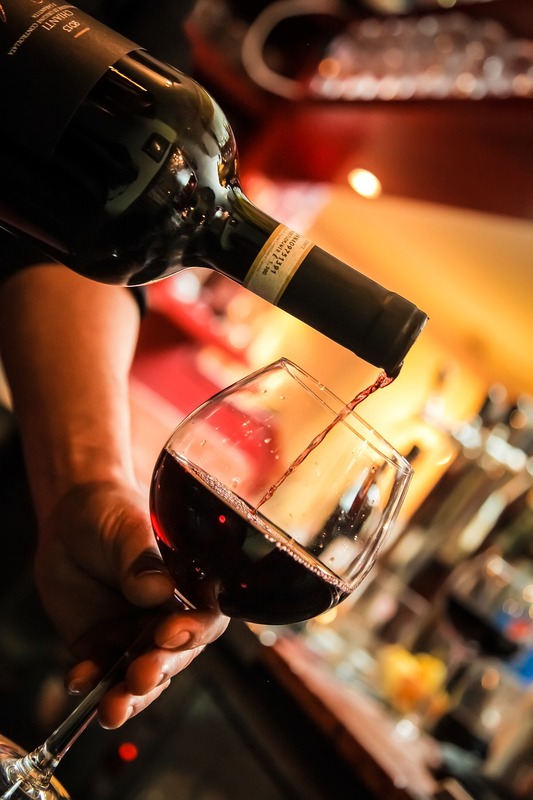 Chef and cellar master are craftsmen at the core as they carefully select ingredients to create a masterful blend of tastes in cuisine and cognac respectively. The perfect pairing of both these two elements is what made the Martell Pure Gourmet dinner an evening of pure indulgence. You will also be inspired with the exquisite masterpiece by Indonesian talented contemporary artists: Shawnee Puti, Peter Tjahjadi, Nus Salomo, Syagini Ratna Wulan and ISIS, and complete the moment with Martell Cognac that served for your satisfaction. “It is interesting to see that Martell came out with the idea for enjoyment of its products with food or gastronomy which we called it, Pure Gourmet. To pair this finest Cognac with quality dishes is excellent opportunity for many Cognac lovers, and especially for some connoisseurs who want to further explore the excitement of this luxury Cognac. On different note, Martell is also a pioneer in the industry to work with the contemporary art society, working with artists and art exhibits around the world. In fact, the link between Art and Martell Cognac is so strong and what makes this Cognac is all about. All of these have helped to broaden our knowledge and understanding on many different ways and how to enjoy our Cognac. I believe both Pure Gourmet and Contemporary Art platforms are great opportunities for Martell as the Luxury Cognac leader to continue staying at the cutting edge in the industry,” says Edhi Sumadi, Pernod Ricard Indonesia’s General Manager. For the past few years Martell has been working towards creating the perfect Martell gastronomy. From Benoit Fil to the chefs and the international Martell ambassadors, all have contributed to this gastronomic discovery in search of the pleasure of culture and the elevation of the Martell experience. A symbol of Martell’s passion and ambition, the Château de Chanteloup is a place of inspiration. Out of this culture and passion, Pure Gourmet was born, derived from Martell’s philosophy in creating its cognac by the purest means – from its precise choice of crus (vineyard), eaux de vie filtered of lees (the process), distillation of clear wines only, then the ageing process in fine-grain oak barrels. Martell Pure Gourmet emphasises on quality ingredients as the principal characteristic that defines its unique gastronomic experience. Three pure ingredients are chosen from renowned terroirs worldwide and are then prepared in a skillful and unpretentious manner masterfully crafted in symphony with the internationally versatile and luxurious range of Martell cognac including Martell VSOP, Martell Cordon Bleu, Martell XO, Martell Chanteloup Perspective, Martell Creation Grand Extra and L'OR de Jean Martell. Martell cognac has long been linked with the French sense of refinement, and every bottle embodies the experience of unrivalled craftsmen: cellar masters, growers, and distillers, who have handed down their expertise from generation to generation. It is the skill and vision of these craftsmen that has made the House of Martell an icon of French excellence and resulted in Martell’s latest incarnation of pure luxury. The past century has seen Martell supporting the arts, in film, music, painting and sculpture. A natural extension of Martell's pursuit of excellence, the associations of the fine cognac house with the Indonesian talented contemporary artists include Shawnee Puti, Peter Tjahjadi, Nus Salomo, Syagini Ratna Wulan and ISIS. All of these contemporary artists share one thing in common with Martell: an unwavering commitment to the quest for perfection. After graduating from the EcoleHotelièrede Reims, Pascal completed his apprenticeship as commis and then chef de partie at a number of well-regarded restaurants in Champagne. Next came a culinary Tour de France for Relaiset Châteaux,where he worked in the Michelin-starred kitchens of establishments from Provence in the south to Lorraine in the north before finally settling in Cognac at the Chateau de l’Yeuse. During a decade with this boutique hotel and gourmet restaurant, Pascal was named the region’s Young Chef of the Year in 2004 and subsequently France’s Chef of the Year in 2008, becoming a Maître Cuisinier de France a year later. Vindex Valentino Tengker, or Chef Vindex as he is more warmly known, is an appointed Executive Chef at The Dharmawangsa Jakarta. With 23 years of vast experience and achievements in the culinary world, his expertise expands to the various gastronomic arts of Asian, Spanish, Mediterranean and American (including Mexican) cuisines, with specialization in Modern Asian and Indonesian dishes. He considers simple dishes with attractive and inviting presentation as the key factors to successful gourmet cooking. Aldo Volpi spent 5 years of his life working for one of the most successful Italian restaurants in Miami Beach Florida, called Paparazzi. After being in the opening team to BACI in Lan Kwai Fong, he took another challenge in Monaco where he opened The Waterfront, then Paper Moon, a restaurant in Tel-Aviv, Israel, and Moscow, Russia. Aldo was also a part of the opening team for the Wynn Resorts & Casino in Macao where its Italian Restaurant, Il Teatro, was awarded as “One of the Top World New Restaurant” by Condé Nast Traveller. After years of experience in Jakarta, Aldo is now the Corporate Chef of Ismaya Group. Established in 1715, Martell is the oldest of the great cognac houses. VSOP Médaillon was created at the start of the 19th century, since when it has underlined the House’s gift for blending eaux-de-vie from the four finest growths of the Cognac region. Aged in French oak casks, those eaux-de-vie are selected by the cellar master to yield a perfect balance of freshness and crisp-edged sweetness. TASTING NOTES: Mellow and round body. Nose: Bittersweet softness: lime and liquorice. Crystallised fruit: quince, raisin and plum. Spring undergrowth: fresh notes of oak wood, fine grain and hazelnut. Mouthfeel: Soft, mellow and complex with crystallised-fruit notes. An ample round body. Long finish. Serving: A cognac to enjoy on its own, over ice or lengthened with a mixer. 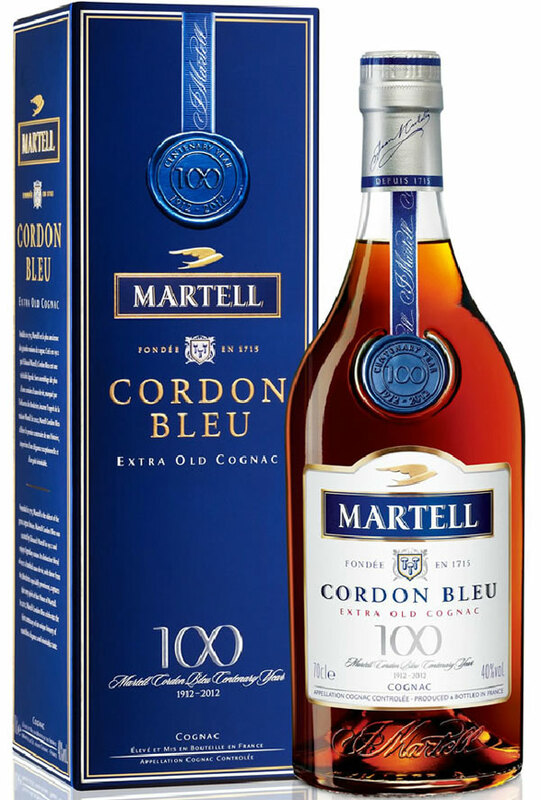 Martell Cordon Bleu is the cognac for true connoisseurs and has acquired legendary status since its creation by Edouard Martell in 1912. Its distinctive taste, characterised by a predominance of eaux-de-vie from the Borderies growth area, and its timeless bottle design make it a classic unequalled in the world of cognac. TASTING NOTES: Elegance and aromatic richness. Explosion of fruity and spicy notes. Rich in mouth. Nose: Orchard fruits: crystallised plums and apples. 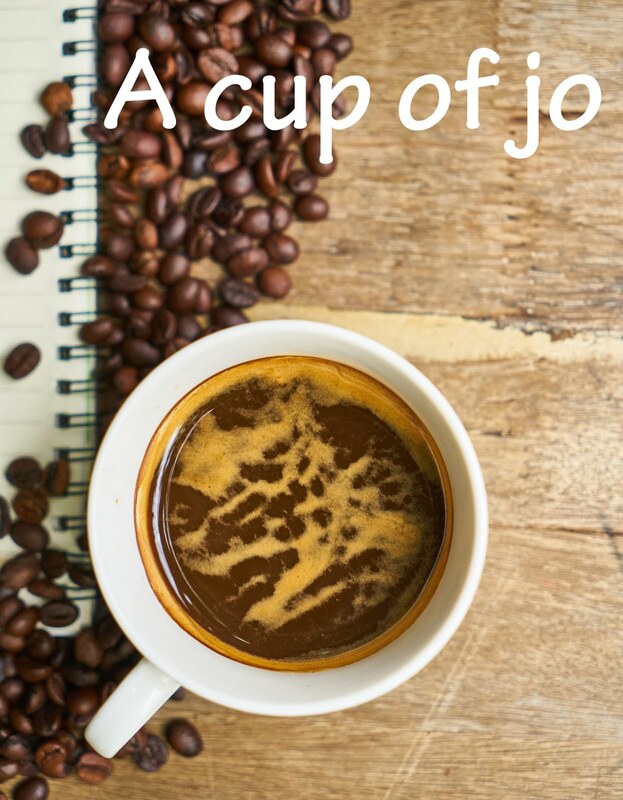 Roasted notes: mocha coffee, toasted almonds, vetiver. Rich spice aromas: cinnamon, orange tree flower, honey and beeswax. Mouthfeel: Well rounded mellowness. Sustained finish with fruit and spice notes. 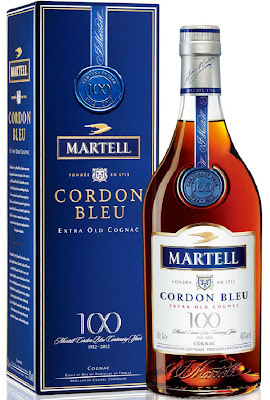 The preponderance of Borderies eaux-de-vie gives Martell Cordon Bleu an elegant, mellow and complex character. With its distinctive arch-shaped bottle, Martell XO is a powerful symbol of vision and inspiration, which is a testimony to Jean Martell’s will to connect the best of things. Unique combination of the elegance of the Borderies and the power of the Grande Champagne, Martell XO is an outstanding XO which bears the hallmark of the Martell style. TASTING NOTES: More secret on the nose. Starting with the elegance of the Borderies, then followed by the intensity of "Champagnes" eaux-de-vies. Long after taste. Martell Chanteloup Perspective is an invitation to pass through the gates, to enter within the secret Chais of Chanteloup, where lie precious eaux-de-vie. It is also a tribute of a cellar master to a specific place: the belvedere which leads to the Chais de Chanteloup, which offers a magnificient perspective that has inspired each and every generation of Martell Cellar Masters. 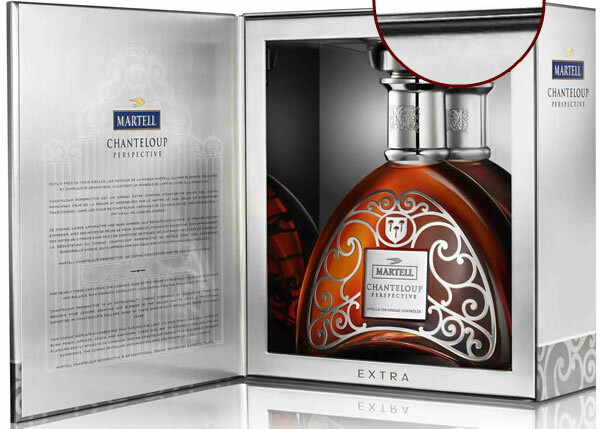 Martell Chanteloup Perspective is an extra-old cognac that has recently joined the ultra prestige quality segment of Martell. TASTING NOTES: A nose specially complex and characterised by riched honey notes. Complexe and fruity notes. Longer after taste. Aspect: Amber hue that catches the light. Nose: Fresh stone fruit aromas: peach, apricot. Crystallised fruit: figs. Dried fruit: raisins, almonds and other nuts. Mouthfeel: An aromatic impression remarkable for the depth of its fruits. The rounded, balance tenor of these aromas joined with the structure, elegance and power that yield a long, ingering finish in the mouth. Serving: A cognac to enjoy neat for a unique and special occasion. With its unique architectural arch-shaped decanter created by famous French design Serge Mansau, Martell Création Grand Extra is a tribute to the creative spirit of the Martell house. A powerfully built blend made of a marriage of the fresh and fruity notes from the Borderies with the subtle, spicy notes of aged Grande Champagne eaux-de-vie. TASTING NOTES: Powerful and intense aromatic architecture. Good length in mouth. Aspect: Amber topaz, catching and reflecting the light as it glows. Nose: Compote and jam: lemon and orange peel and dark-red plum. Exotic riches: cocoa beans and strong, dark chocolate, vanilla pod. Woody, spiced notes: curry paste, rancio and amber leather. Mouthfeel: Silky-smooth attack. Mellow mid-palate. Powerful and unique finish, its duration punctuated by woody and spiced notes. Serving: A cognac to savour neat, for a unique tasting experience. L'OR de Jean Martell is an exceptional cognac created from series of unique encounters. The precious union of Grande Champagne and Borderies created an unrivaled blend of elegance, power and richness. Over 400 extremely rare eaux-de-vie, some over a century old, come together in this prestigious cognac. 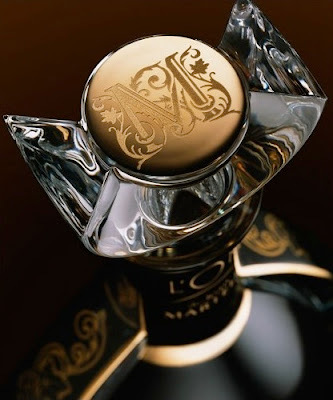 Served in a hand-crafted crystal decanter, L'OR de Jean Martell keeps this tradition of rare encounters alive, an unrivaled sensory experience to elevate the moment. TASTING NOTES: A veritable effusion of sensations marked by a light, sylph-like quality for all its length. 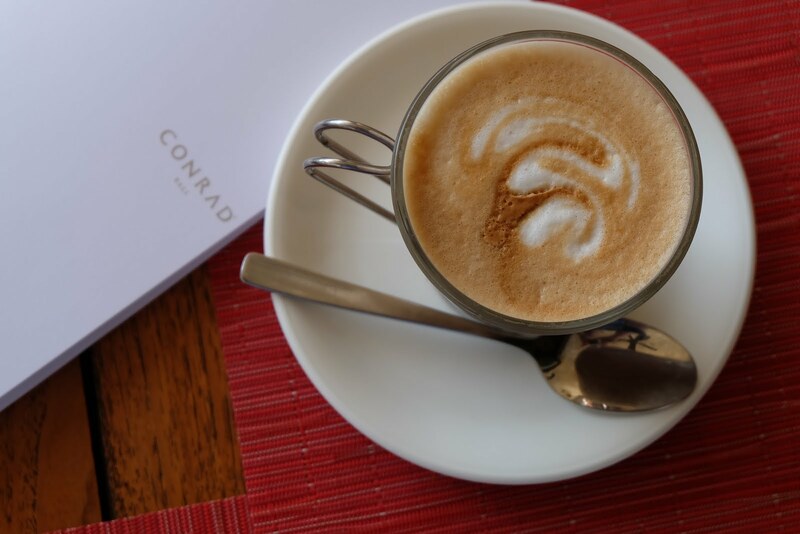 Much like a familiar, melodious symphony of fresh citrus notes, fruit, gingerbread and precious wood, in which the senses answer each other in subtle echoes. Aspect: Deep amber with hints of shimmering mahogany. Nose: The freshness of oriental notes: bergamot and orange peel. Full-fruit harmony of dark berries and blackcurrants (bud, leaf and flower). Gingerbread notes: clove and cinnamon embraced by sweet vanilla. Oriental forests: woody notes of myrrh, undergrowth and rancio. Mouthfeel: Silky-smooth and subtle attack, followed by richer, more substantial flavours. Harmonious notes of blackcurrant and woodland undergrowth encounter tones of gingerbread and orange peel. The Grande Champagne eaux-de-vie bring strength and structure. An exquisite, lingering finish or “peacock’s tail” effect. Serving: An exceptional cognac to savour neat, for a sensory experience like no other.